I have the cutest (& easiest!) DIY to show you today. On one of my many days off I was out looking for hidden treasures at the thrift store & saw the cutest little plate & knew instantly that I wanted to make a cake stand with it. 1. Apply a quarter size amount of epoxy to the bottom of your plate. 2. 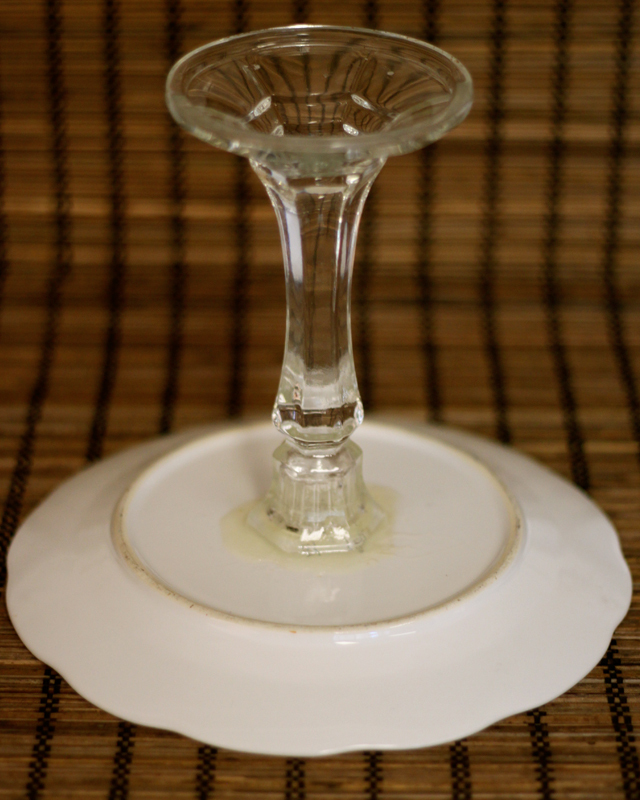 Place a candlestick holder, top side down on the epoxy. And you're done! I told you it was super easy! What a great and interesting idea. I have a couple of "inherited" plates which are all mismatched. This is the perfect solution to "recycle" them. Thanks for the great read. 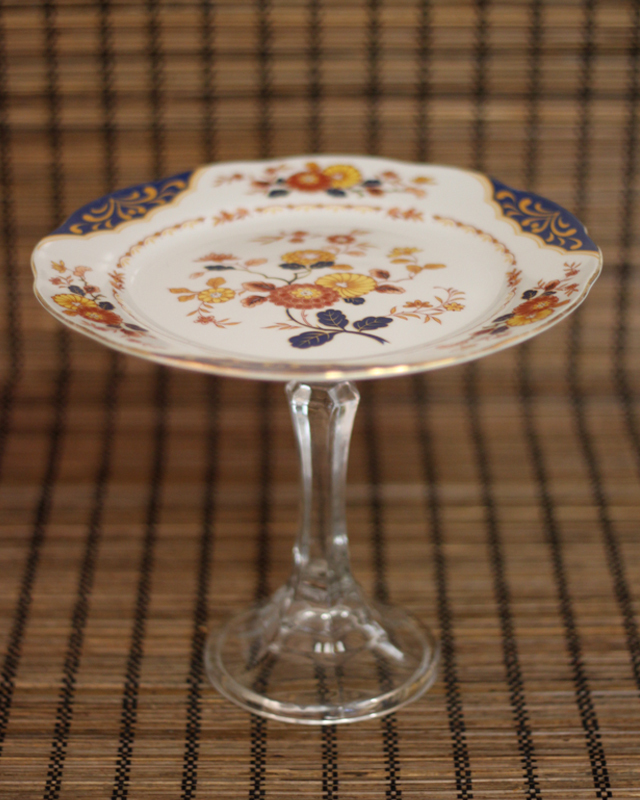 I've looked at so many diy cake stands lately but this one is by far the easiest! Love it! I'm throwing a bridal shower in March and you can bet I'll be making several of these. I'll be sure to post pictures :) Thanks Holls! aww, this is super cute!!! such a great idea!! love it!! !